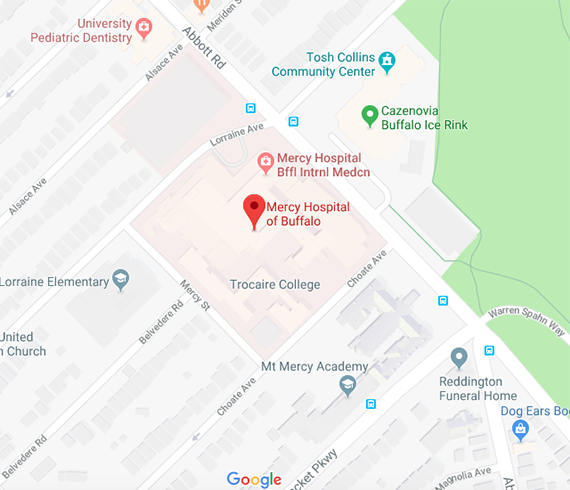 Mercy Hospital of Buffalo provides expert care for emergency, heart, stroke and many other medical needs. Mercy has achieved the highest rating from Healthgrades in coronary bypass surgery for eight years. The only Comprehensive Stroke Center in WNY. Mercy received the American College of Cardiology’s Platinum Performance Achievement Award.